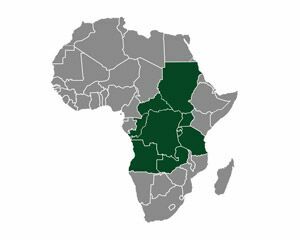 With regards to the Dodd-Frank Wall Street and Consumer Protection Act of 2010, Mac Metals would like to make clear our commitment to reducing conflict in the Democratic Republic of Congo (DRC) and surrounding areas by ensuring that all points in our supply chain are conflict-free. Learn more about conflict minerals and read our statement below. Dodd–Frank Section 1502 defines “conflict minerals” as cassiterite, columbite-tantalite, gold and wolframite, as well as their derivatives and other minerals that the US Secretary of State may designate in the future. Which Conflict Minerals are Covered in Dodd-Frank? Thanks again to Ernst and Young for sharing the full report as a result of the Securities and Exchange Commission (SEC) rulings. The following countries are tied to the conflict minerals report and produce 15%-20% of the world’s supply of Tantalum. As part of the SEC filings, the commission provided a frequently asked questions section to inform consumers and businesses on the rulings and specifications of Dodd-Frank Wall Street Reform and Consumer Protection Act which can be found on the SEC Website. For our full statement regarding conflict minerals, please head over to our Conflict Minerals Policy Statement page. Mac Metals is proudly made in the USA, committed to environmentally sound production, and committed to minimizing conflict in the ‘Conflict Region.’ Our Architectural Metals team is ready to assist you on your next project. Read through our newly improved gallery, read more about our company, and contact us for more information. Welcome to the BRONZE BLOG!